Doctors have advised people to ensure mosquito larvae are not breeding around them and to wear full-sleeved clothes and use mosquito nets. 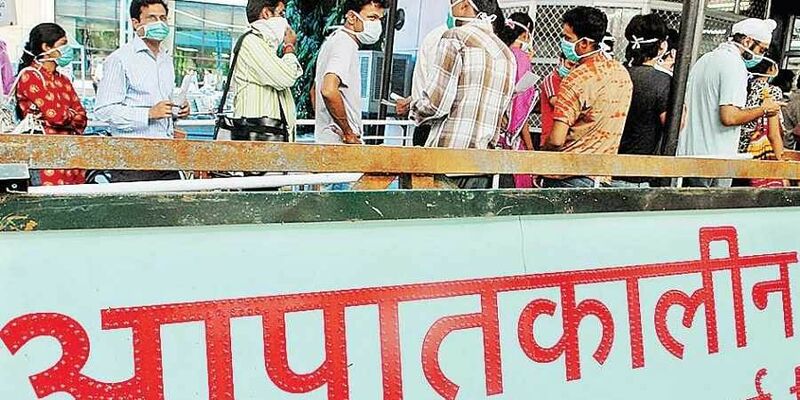 NEW DELHI: Although cases of people having contracted dengue are generally reported between July and November, municipal authorities have registered at least five cases, including three in March, in Delhi so far this year, according to a report released on Monday. According to the report, a case each was reported in January and February and three were detected in March this year by the South Delhi Municipal Corporation (SDMC), the agency responsible for collecting data on vector-borne diseases in the city. Last year, 2,798 cases and four deaths had been reported in the city.Dengue cases are usually reported between July and November. They may be reported as far as mid-December.When it comes to other vector-borne diseases, while no cases of malaria were reported, two cases of chikungunya were reported in February and one in March. Doctors have advised people to ensure mosquito larvae are not breeding around them and to wear full-sleeved clothes and use mosquito nets.Water coolers should be dried up when not in use as dengue infection-carrying mosquitoes breed in such containers. Municipal bodies recently organised a workshop on the prevention of vector-borne diseases where it was reported that mosquito-breeding was reported from at least 1,387 households in the city this year and 2,293 legal notices were issued. Of the total dengue cases last year, 141 were recorded in December, 1,062 in November, 1,114 in October, 374 in September, 58 in August, 19 in July, eight in June, 10 in May, two in April, one in March, three in February and six in January, the report said. The rest of the cases were reported from areas outside the jurisdiction of the three municipal corporations of Delhi. Also, 473 cases of malaria and 165 of chikungunya were reported last year. Doctors advised people to ensure mosquito larvae are not breeding around them and to wear full-sleeved clothes and use mosquito nets. Water coolers should be dried up when not in use as infection-carrying mosquitoes breed in them.